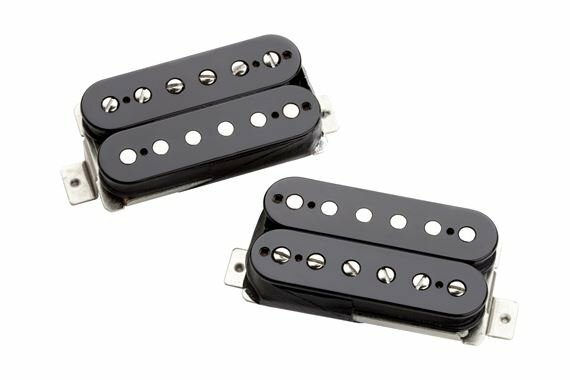 Shop Seymour Duncan Vintage Blues Humbucker Pickup Set from AMS with 0% Interest Payment Plans and Free Shipping. 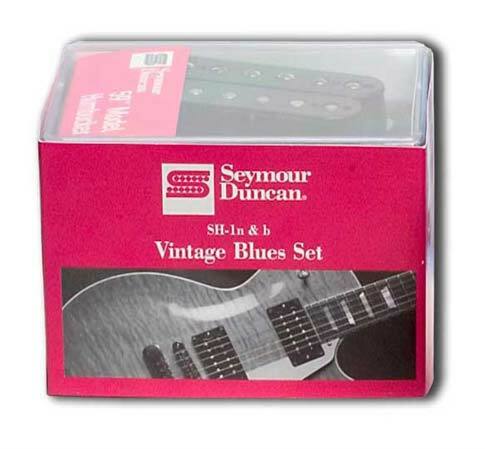 The Seymour Duncan Vintage Blues Set is made up of a pair of calibrated SH-1 ’59 Model pickups for the neck and bridge positions. This set is based on the vintage P.A.F. humbuckers of the late ‘50s and is perfect for blues, jazz, and classic rock. Duncan believes that their Matched Sets will take the guesswork out of matching complete retrofit sets of guitar pickups. All of the pickups in the matched sets are hand built in Duncan’s Santa Barbara, California workshop and include all necessary mounting hardware and wiring instructions. Ever wonder what holds you back from buying new electric guitar pickups? Seymour Duncan did. So they undertook detailed market research to determine the biggest factor as to why guitar players don’t make the purchase decision. It turns out that Duncan’s huge array of pickups (108 different series, at last count) was working for them and against them at the same time. The biggest reason for reluctant guitarists: too many pickups from which to choose. 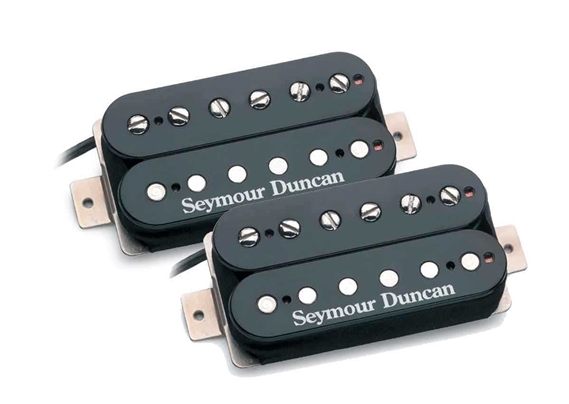 Recently, Seymour Duncan released their most popular pickup models in pre-matched sets, to take the guesswork out of determining which pickups work well together. The initial release of matched sets includes pickups targeted to a specific type of player and their musical taste. I was looking the a thicker sound in my SG and I found just that with these particular pickups. I enjoy playing the SG but I like the blues and the pickups that were in my SG didn't really give me the sound I was looking for but now it's right on time, thanks AMS for the timely service!!! I have a set of these in a Gibson Les Paul that came with the 490R and 496T humbuckers. They were ok but I had a set of these SD '59 humbuckers in a Gibson SG I bought new in 1972 and they sound way better than the stock '57 pups did. Anyway I just ordered another set of these last night for my ES 335 to swap out as I feel these SD's are the best sounding PAF style pups out there. I have a collection of guitars from 1972 to present, always selling and buying new guitars and I just like these pups better than the stock pups that come in all guitars from then to now. I have not found a better sounding set of humbuckers and I have tried them all over the past 45yrs of playing and I still rock out on weekends with a Classic Rock and Blues band. Try these and I am sure you will like them as much as I do and they are not those snobby $300 pickups that sound no better. Everything Duncan makes is high quality & these are no exception. Have only had them for a few weeks, but my other Duncan pickups have been 100% reliable. Bought these to replace the stock pickups in a Hofner Verythin. The guitar is heavy in the mids by nature and the Duncans smoothed out the tone considerably - it's like a new guitar. Just ordered another set to replace the 490R & 498T in my Les Paul studio - same issue- mids are too harsh.